In the modern world, we have become addicted to positivity. We try to eradicate pain through medication and by insulating ourselves from risk and offence, even though we are the safest and most comfortable generation that ever lived. 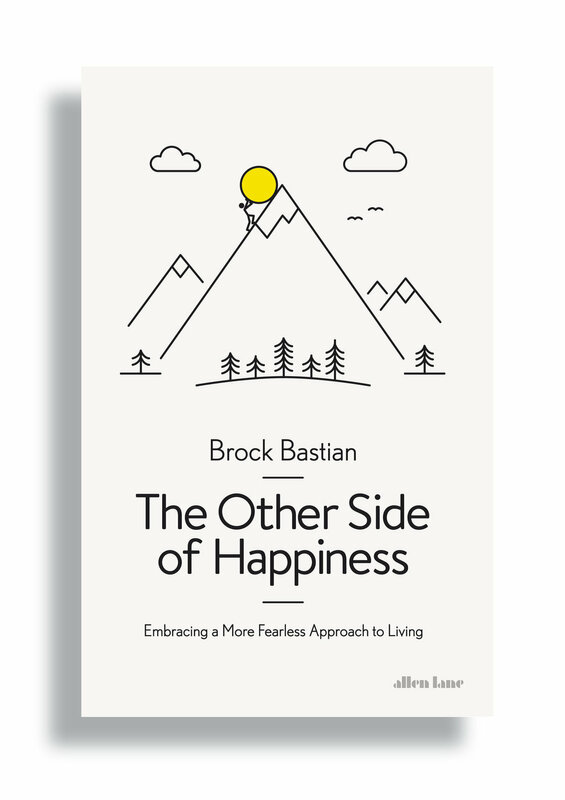 Yet social psychologist Brock Bastian shows that hardship and sadness are neither antithetical to pleasure nor incidental: they are necessary for happiness. In The Other Side of Happiness, he draws on psychology, neuroscience and internationally acclaimed research from his own laboratory to demonstrate how difficult experiences are ultimately proven to make us stronger, happier, and more connected to those around us. As Bastian shows us, the most thrilling moments of our lives are usually balanced on a knife edge between pleasure and pain, and carry the potential of loss, whether it is finding your true love, holding your newborn for the first time, scaling a mountain or even taking a dip in an icy sea. Rather than attempting to protect ourselves from risk or viewing difficulty as failure, The Other Side of Happiness encourages us to take a more fearless approach to living that recognises the meaning of pain in our lives. — Paul Bloom, Brooks and Suzanne Ragen Professor of Psychology at Yale University and author of several books, including "Against Empathy: The Case for Rational Compassion"
— Adam Alter, author of "Drunk Tank Pink" and "Irresistible"
— Roy F. Baumeister, author of "Willpower: Rediscovering the Greatest Human Strength"
Could Pain Be the Other Side of Happiness?